Family of former Channels TV state house correspondent, Chukwuma Onuekwusi, release his obituary – Royal Times of Nigeria. 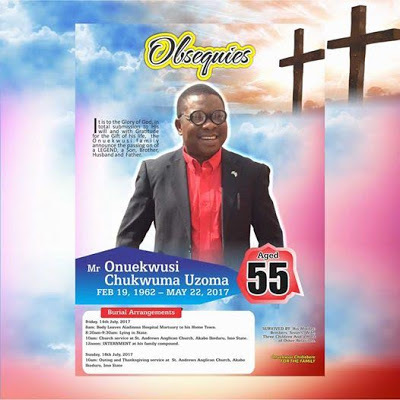 The family of former Channels TV state house correspondent, Chukwuma Onuekwusi, have released his obituary. Chukwuma died in an Abuja hospital on May 23rd after a brief illness.